Cerevo – such an unusual name of the company to decipher quite simple, that is acronym from Consumer Electronics and REVOlution. The main office is located in Tokyo. In the autumn of 2015 at the IBC in Amsterdam was updated line of web streamers Cerevo LiveShell 2. In fact the second generation LiveShell has the same functionality and the same electronic stuffing as PRO-version of the encoder, the only difference is the absence of the line input. This small flaw more than compensates of the device price, the retail value is 299 USD LiveShell 2 is currently the most affordable HD-encoder for webcasts in the world. 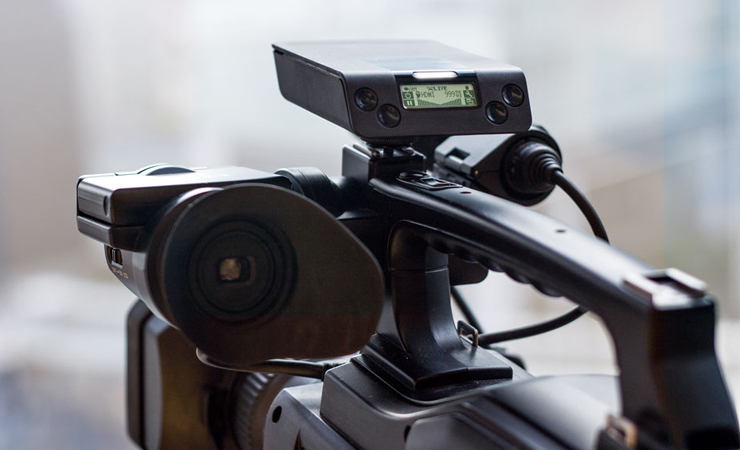 The compact encoder Cerevo Live Shell 2 greatly facilitates the organization of both professional and amateur web broadcasts, whether corporate seminars or television journalism. Cerevo LiveShell 2 is equipped with HDMI-input, a video source suitable for any camera and cheap electrical household camcorder or DSLR camera. From the built-in battery device works up to 3 hours in the HD-streaming mode. Connects to the Internet through the twisted pair and Wi-Fi, it supports 2.4 and 5 GHz, works with any access points. Templates settings for beginners, simple and understandable configuration through the admin panel. Integrated with Facebook and Gmail. Fast turn on, loading 20 seconds, and after for creation a new translation and start streaming, for example, on Youtube, just click Start. On the front panel status indicator convenience of broadcasting for example if everything is OK – lights up blue if blinking – then something is wrong with the internet or server problems. There are buttons and multiline display, so that all the parameters for the broadcasting can be adjusted manually and without a computer or a Smartphone if they are at the most inopportune moment suddenly full becoming flat. Wi-Fi USB adapter included adapter tenacious and good catches even a weak network. Use this encoder for the broadcasts is much cheaper than a laptop program for streaming, Cerevo Live Shell 2 PC is much easier and does not need expensive video capture card. It is the most affordable on the market coder for webcasting between the similar equipments. Nothing cheaper, and with normal quality you will not find!